Auto recall letters are usually generated when a car or motor vehicle is determined to have a design or manufacturing defect. Automobile repairs are typically completed in a reasonably prompt and properly by dealers in order to ensure the safety of the driver. Problems will occasionally arise when the recall work is either not done properly or it is not performed free of charge. These steps can be taken in the event that routine auto recall repair work isn't conducted in the expected manner. When a motor vehicle or its related equipment does not comply with a Federal Motor Vehicle Safety Standard or there is a safety related defect present, an auto manufacturer recall may be issued. The Federal Safety Standards are minimum performance requirements for the most critical and essential parts of a motor vehicle related to safety (such as brakes, tires, lights, air bags, safety belts, child protection and impact absorption.) Automobile manufacturers will generally send a letter to registered vehicle owners notifying them of a recall. The car owner should contact an authorized dealer to set up an appointment to have the recall repair service completed, which should be at no charge to the vehicle owner. If problems arise, the automobile owner will probably want to take the following steps in order to remedy the problem. Your first step towards resolving a recall repair issue is to contact your dealer’s service department and ask to speak with a service manager. You may need to explain to the manager that work is required to fix a safety recall problem. Be prepared to provide a copy of the manufacturer’s notification letter for the safety recall. This will typically resolve most problems concerning having the necessary work done. If contacting the auto dealer does not help, the next step is to contact the manufacturer of the motor vehicle. Details of how you tried to remedy the problem and the steps you have taken. After reporting your problem, the auto manufacturer should investigate the complaint and will generally be able to resolve the problem within a matter of days. If a vehicle owner does not believe they will be able to have the recall work completed free of charge or that that work will not be performed in a satisfactory manner, it may become necessary to contact the National Highway Traffic Safety Administration (NHTSA) now "SaferCar.gov). The NHTSA was established by the Highway Safety Act of 1970 for the purpose of establishing and administrating automobile safety programs under the National Traffic and Motor Vehicle Safety Act of 1966 and the Highway Safety Act of 1966. The NHTSA is responsible to investigate safety defects in motor vehicles, reduce the threat of danger caused by drunk drivers, promotes safety programs for the use of seat belts, child seats, air bags and many other safety initiatives. You can also file a complaint with the NHTSA on the Internet. It is highly unusual that none of these steps will remedy your problem. 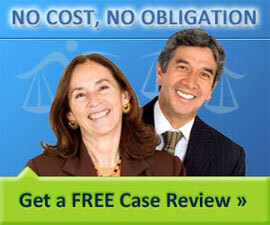 If this is still the case, you may wish to discuss your problems with an attorney experience in auto recall cases.